Over the course of this past year, there has been a remarkable diversity of water-borne tactics in struggles for justice around the world. There was a time when the most consistent part of my life was at sea, when my time was neatly divided between life on the water and life on land. For 15 or so years I shipped out on a sequence of activist, environmental and educational vessels. I was lucky to find the small community of engaged mariners who were moved to use the vessels that carried us to fight for change. I relished living outside, in a finite and well-defined space often less than 100 feet by 30 feet, free from the crazed consumerist culture on the mainland. That’s why, over the course of this past year, I’ve been paying close attention to the remarkable diversity of water-borne actions. They brought about a flood of memories and inspiration. Boats have been used in all kinds of nonviolent action — in protests, in interventions, in acts of noncooperation and as examples of the world we want to live in. Fortunate indeed are those of us who have the opportunity to navigate resistance in this way, despite the 24-hour watch schedules, wicked weather events, sea sickness, long days busting rust and, on occasion, vicious reprisals from authorities. 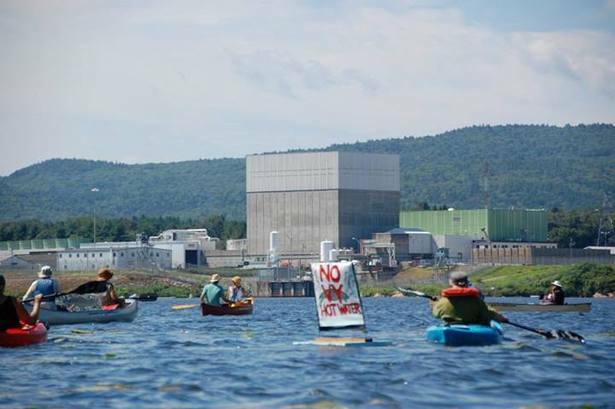 In August, this year and last, the small but feisty Safe and Green Energy (SAGE) Alliance organized a flotilla and a rally to highlight the dangers of the Vermont Yankee Nuclear Power Plant’s discharge of hot water into the Connecticut River. A couple hundred people lined the banks and paddled canoes, kayaks and other non-motorized craft to educate communities and protest the discharge. The flotilla was part of many years of work aiming to shut down the aging reactor; just three weeks later, the parent company Entergy announced it would decommission the plant in 2014. Also in August, but in Washington state, students paddled canoes that they had built along the Columbia waterway as representatives of the salmon who can’t speak out for themselves. This project, Voyages of Rediscovery, highlighted the upstream struggle of local salmon that can no longer reach their historic spawning grounds because of man-made dams without fish ladders. The journey was timed to demand that the issue be added to the New Columbia River Treaty negotiations taking place between Canada and the United States. For the first time in the life of this 50-year-old treaty, environmental initiatives including salmon passage to the headwaters are being considered. If you don’t have a boat, you can still wade into a fight. In April, about 3,000 villagers living near the Kudankulam nuclear power plant in Tamil Nadu, India, took their protest into the sea surrounding the plant. 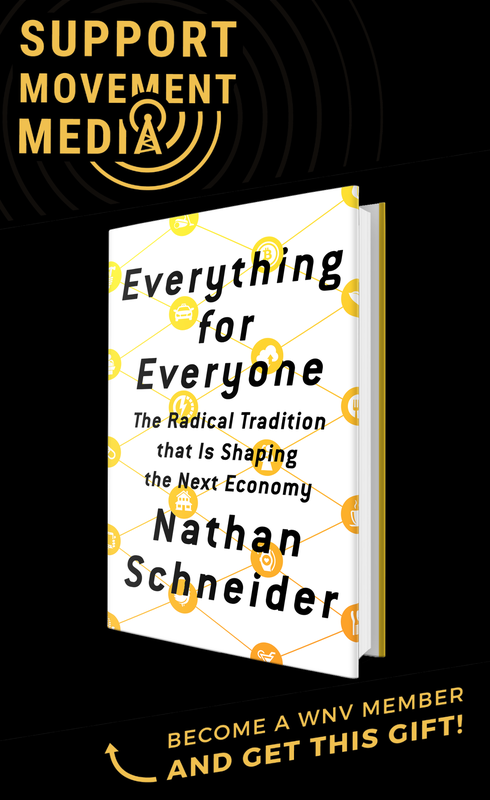 This was yet another in the wide range of tactics the People’s Movement Against Nuclear Energy have used, including hunger strikes, shaving heads, cooking on the street and publicly burning models of the nuclear plant. They call their watery siege of the plant Jal Satyagraha — truth-force in the sea — and have waded into this fight in long human chains over the last couple of years. The fishermen of another Indian town, Veerampattinam, found a way to use their particular skills to add excitement to protests demanding that the Indian government act in support of the Sri Lankan Tamils. A day in advance of a vote at the United Nations Human Rights Council in Geneva, about 60 boats launched a wave of protests off the Puducherry beach. It was reported that the seagoing event was unusual enough to net a good response from the public and make sure the Indian government got the message to take up the cause of the Indian Tamil fishermen who were being illegally apprehended by Sri Lankan authorities. This summer marked 400th anniversary of the first treaty between Europeans and American Indians in North America — that between the Haudenosaunee People and Dutch immigrants in what is now New York State. The milestone prompted a 13-day historic paddle down the Hudson River to the United Nations to renew the treaty. The treaty, recorded on paper for the Dutch and on the Two Row Wampum belt, details a mutual, three-part commitment to friendship, peace between peoples, and co-existence in perpetuity. Unfortunately, it was followed by four long centuries of treaty-breaking, wanton use of shared resources, and unfair social and economic practices by the European immigrants’ governments. This expedition served to highlight the need to extend indigenous sovereignty, protect our shared environmental inheritance, and build support for the just resolution of struggles seeking a recognition of title and control over ancestral lands in the Court of New York. It was an act of holding both sides accountable, of refusing to forget the obligations made long, long ago. Amidst the increasing tensions between North and South Korea, a group of peace activists continues to track a nonviolent struggle against the construction of a naval base on the island of Jeju in South Korea. That is where, most weeks, you can find the SOS (Save Our Seas) Ocean team monitoring and protesting the base’s construction from the sea. Last time Jeju hosted a military base, an estimated 30,000 people were killed there when the government put down an uprising from 1948-1949. It was not until 2003, as part of an apology from the South Korean government, that Jeju was designated the “Island of World Peace.” Current U.S. and corporate pressure for an increased military presence in the Pacific is undermining this designation. Construction of the base is swelling the resistance movement that is working to protect both the residents and the environment of the island, which includes a UNESCO biosphere reserve, a Global Geopark and World Heritage sites. Over the last few years, indigenous Australian Aboriginal elders and West Papuan refugees who shared ancient stories from their early cultures decided to reclaim and renew support for each other. Together, they charted a voyage that would become the West Papua Freedom Flotilla this summer — an act of both defiance and indigenous solidarity. Although the sailboats did not actually land on West Papuan soil because of threats from the governments, they did conduct a clandestine cultural exchange near the coast and dominated the Indonesian press with stories about ongoing human rights violations in West Papua. At one point, the Indonesian government’s response to this two-boat threat was to mobilize its air force, naval patrol boats and thousands of troops in opposition. Buoyed by this reaction, the organizers have made clear that this year’s flotilla was just a way to test the proverbial waters, and that the reawakening of ancient cultural ties will continue into the future. Since 2008, nonviolent opposition to the Israeli blockade of the Gaza Strip has been waged by land and by sea. Most of the traditional attempts to break the siege on Gaza have been unsuccessful; three years ago, for instance, the boarding of the MV Mavi Marmara left nine dead, many wounded and none of the humanitarian aid aboard in the hands of the Palestinians. In a stroke of brilliance, activists came up with a plan to flip their strategy; instead of trying to get goods from the outside world into Gaza, they created a way to get goods beyond the siege. The Gaza’s Ark project centers around rebuilding an old fishing boat into a cargo ship — by training and hiring locals to do the construction, as well as establishing trading partners to receive the Palestinian goods. Internationals are acting as consultants and supporters rather than as saviors. Meanwhile, this outbound trade is keeping alive shipbuilding expertise and seamanship skills, providing local jobs and helping to rebuild the Gaza Strip’s economy. 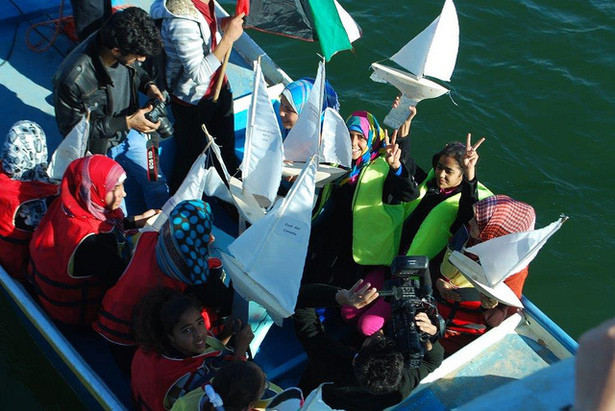 On November 30, as part of this campaign, hundreds of Palestinian kids created “mini-arks” and set them sailing from the port of Gaza out to sea as a poignant expression of their hope to be free of the blockade. Just a couple weeks ago, on December 2, another flotilla assembled to challenge the naval blockade that restricts fishing to within six nautical miles of Gaza’s shore. The limit presents a problem for the local fishermen, making it nearly impossible for them to support themselves or deliver enough fish to the markets. More than 10 fishing ships carrying 120 people on board were part of the Sumud Justice Flotilla, which sailed to the edge of the restriction zone. 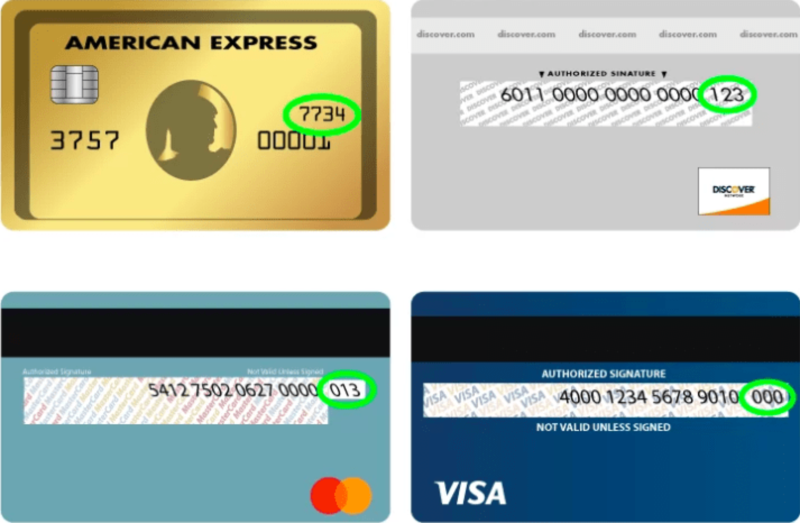 There, a few boats tested the waters and crossed the zone line. Although it’s common for fishing boats to be fired upon near the edge of the zone, no shots were fired and all boats returned home in one piece. Greenpeace made its initial debut by chartering an old fishing vessel to “bear witness” to U.S. nuclear testing at Amchitka Island off the coast of Alaska in 1971, and since then boats have become iconic images of the organization’s actions. Even though the boat didn’t make it to the test site, Greenpeace won; public outcry was focused enough to compel the United States to abandon testing at that site. This year, Greenpeace ship actions have made a lot of news. 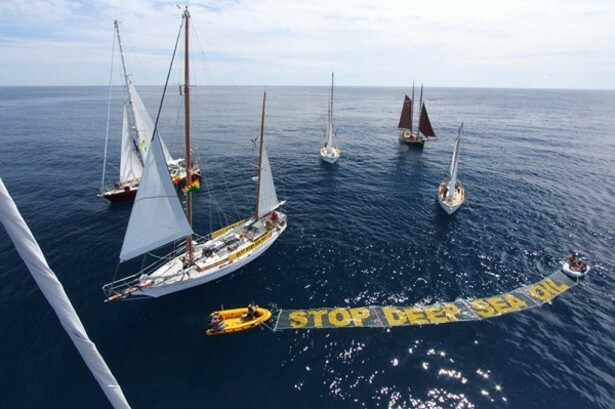 In New Zealand, for several weeks in November, the Oil Free Seas Flotilla occupied the 500-meter exclusion zone established around an Anadarko ship’s drill-space. (You might remember Anadarko as one of the companies responsible for the Deepwater Horizon Gulf of Mexico spill disaster.) 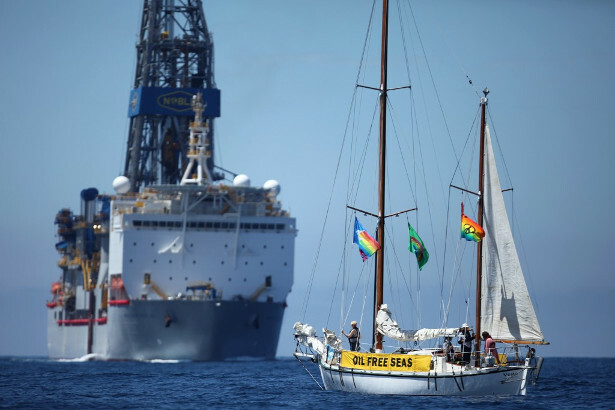 The SV Vega, a flagship of early protests of South Pacific nuclear tests, sailed as part of the six-boat flotilla and violated the exclusion zone repeatedly, without arrest, until the drilling started. Anadarko now says it will have to reconsider future drilling in New Zealand waters after Greenpeace followed up with a legal challenge to the drilling permits. The prize for biggest story of the year for maritime actions also goes to Greenpeace. In September, Greenpeace ship Arctic Sunrise took part in what was anticipated to be an intense but familiar protest to call attention to the threat of an Arctic oil rush off the Russian coast. Two Greenpeace activists, brought to the rig by the Arctic Sunrise‘s smaller inflatable boats, managed to climb onto a Gazprom oil rig and tried to stage a protest on the outside of the platform. That’s when the script changed. Met with the Russian Coast Guard’s water cannons and guns, the activists were pulled off the rig. The ship was towed into harbor and its entire crew was seized and charged with piracy. As of this writing, due to international outrage and pressure, the charges were changed to hooliganism — still disproportionate to the action! — and the activists have been granted amnesty, though it is not yet clear when they will be able to leave Russia. The overreaction of the Russian government has focused international attention on the central reason for Greenpeace’s action — the fight to ensure that economic activities in the Arctic do not harm the local environment or hasten the global climate crisis. A rising tide, after all, lifts all boats.